When the 2018 season began it would be tough to argue that Hunter Greene wasn’t the most exciting prospect in the Cincinnati Reds organization. He was the previous years 1st round draft pick and the recipient of the largest signing bonus in the history of the draft since baseball set up limits on spending. His raw talent, his athleticism, his poise – it all jumped off of the pages at you. But in 2017, the year in which he was drafted, the Reds took it slowly with him and he barely played as a 17-year-old in Billings. 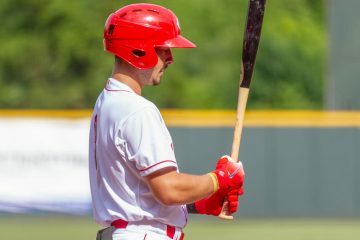 In the offseason he focused solely on pitching after being given some playing time as a designated hitter with the Mustangs the previous year. After a tough start to the 2018 season in Dayton that was full of just absolutely terrible luck through his first seven starts where his batting average on balls put in play against him was .560 (this is literally almost double of what the league average is), things got better. And quickly. The 18-year-old dominated from his 8th start of the year on. Over the next two months he posted a 2.63 ERA for the Dragons. He made 11 starts and threw 51.1 innings where he allowed just 36 hits, walked just 13 batters, and he struck out 63. His offspeed stuff took steps forward, and his fastball overpowered many hitters along the way. But on July 26th he left his start after just 2.0 innings of no-hit baseball. It would be the last time he saw the mound in 2018. A week later he would be diagnosed with a tear in his UCL. 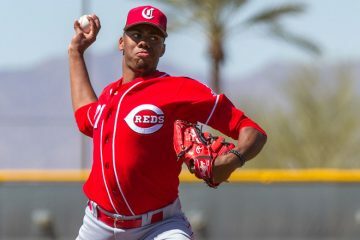 Hunter Greene and the Cincinnati Reds chose to go with the option of rehab rather than immediate Tommy John surgery. 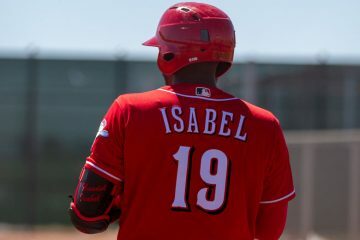 The tear was not enough that it was an immediate “there’s no way rehab will work”, and with the team having success with both Michael Lorenzen and Anthony DeSclafani under similar circumstances, it seemed like a good move. 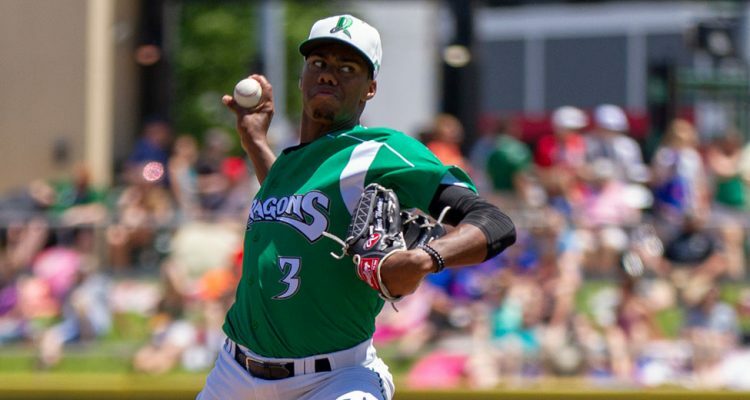 A little more than a month ago Hunter Greene shared the news that his elbow was 100% healthy. Since then he’s stated that he had hoped to begin throwing in December. On Friday he shared video on his instagram stories of him throwing at the Reds complex in Goodyear. It wasn’t off of the mound. But even with it being flat ground throwing, he didn’t seem to be holding back. And there is no reason to hold anything back, either. 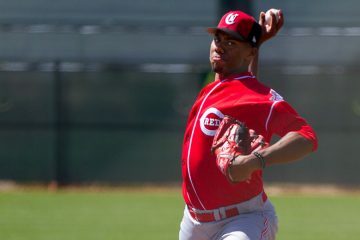 A source confirmed to me that Hunter Greene is unrestricted and on a normal throwing program as he prepares for the 2019 season. The upcoming season could be very interesting for Greene. As noted above, he closed out the year with the kind of run that an elite prospect would. And he did it at an age when his same-age peers would have been in complex leagues. If he’s similar to that version next year he could rocket his way up multiple levels. The bigger question could be how his innings would be handled. Hunter Greene will be 19-years-old next season. The Reds have a new farm director this year. And they’ll have a new pitching coordinator, too. But in the past, they’ve limited players at that age to between 120.1 and 136.0 innings. That list only includes three players dating back to the 2011 season. Sal Romano threw 120.1 innings in 2013 with Dayton. In 2017 Andrew Jordan threw 131.1 innings and Wennington Romero threw 136.0 innings – both also with Dayton. I think 125 would be a good innings cap. Greene is another one of the 7 players who I think could move up in FV. If he stays healthy all year he will be a 55 or 60 a year from now. I could see Greene and Trammell both in the top 10 overall on many prospect lists come January 2020. I think 125 innings is a good cap as well. I think he will move into the top 10 next year if he stays healthy cause the stuff is there. Unfortunately, I see the UCL injury coming back in April/May which if torn puts him out until 2021. In that case we won’t see him until in majors until 2023. This is a joke. I can see Reds get Dylan Bundy on their side. Im all for acquiring Bundy. Not sure id give up both of Long and Reed. Not sure of Bundy’s health or contract, but if I am Cincy, I’d seriously consider that trade. Bundy has a very nice K/BB ratio. Problem is HR ball which in GABP is reason 4 concern. Reed just doesn’t seem to get it. He THROWs plenty hard enough, but doesn’t appear to understanding PITCHING? He doesn’t appear to “read the hitter” very well and then make speed & location adjustments……Pitching! Another example of a guy w/ talent, but Reds are not getting it out of him…..so move him for a SP who is further along. Don’t wait until NO One wants him. Just my pt in other threads. Long has great athleticism, but I’ve seen him over matched AB in AA on several occasions. If you R willing to trade Didi, why not Long? Reds have a few 2B options so moving one for a 26 yr old strike throwing ML SP seems reasonable. Muddy, you missed some nice pitching by Reed after he was recalled. He went 38 innings with 35 strikeouts and a 3.79 ERA. His body language was completely different than it had been before. I am very high on Reed. At his age, both Jacob DeGrom and Corey Kluber were at about the same level as Reed. Is he beginning the year in Daytona? I’d have him at 100 ip there, and thinking it goes at least OK, move him to Chattanooga in relief for the final few weeks for familiarity. That puts him on the AA to MLB path for 2020. Guys don’t really know where they are going to start the next season at until later in the spring. And with new people running the farm we don’t exactly have precedent for how they handle certain types of players, either. That said, I’d guess he starts in Daytona. Let the guy learn “how” to pitch before they “rocket his way up multiple levels.” He only has less than 100 IP’s over the last 2 years. They have got to start building up his IP’s in 2019. With this elbow injury, it will be hard to imagine the Reds letting him pitch more than 110-120 IP’s in 2019. Hopefully the plan is to limit Greene early in the season when the weather is still cool and then let him get going in May. It would be foolish to shut him down in July or August with an innings limit when the weather is good. That $7.25M signing bonus bought a bunch of potential, but not much of anything else yet. Not looking for a breakout in 2019 for Greene, well a small breakout maybe. One that can be had in 120 IP’s. Greene needs to work on developing a better 3rd and 4th pitch, and then start mastering those pitches. He can’t be all fastball with a few curves sprinkled in. Rookie league hitters and low A hitters were all over his 100 mph fastball offerings and hit him hard, as evidenced by Greene’s 12.46 ERA in Billings and a 4.48 ERA in Dayton. Greene doesn’t need to be rushed. He needs to get his work in, work that was cut short last year and the year before. Trammell has already passed him up on prospects lists, and Santillan should be ranked ahead of him too at this point. It is time for Greene to show why he was drafted #2 overall. The Reds have had better luck with P who spend at least a few years in MiLB before pitching to MLB hitters. Jim Maloney spent 1 full year and parts of 2 others in MiLB. He was Reds ace SP in 1960s. Pitchers like Jim O’Toole, Gary Nolan, and Don Gullett pitched in MLB after only 1 year in MiLB. None of their careers lasted more than 10 years. I don’t remember Nolan and Gullett needing any more time in the minors. Better handling in the majors, and certainly the FO, would have helped. They clearly had all the stuff they needed when they made the Reds. O’Toole may have been different. My reply was apparently deleted. You are correct. Greene needs AT LEAST two more years in MiLB before joining the Reds. Hunter Greene knows how “to pitch”. He’s not out there just chucking it 100 every time. He mixes things up. Wait, so does he not need to be rushed, or is it time for him to show why he was drafted overall? Does he need more time to develop 3rd and 4th pitches, or is it time that $7 mil signing bonus bought something other than potential? Also, do tell your definition of “learn how to pitch” and explain how Greene doesn’t meet that definition. I would limit him to 90-100 ip this upcoming year. Which I think is a good jump from where he was before especially with the injury. I would monitor him very closely looking for signs of fatigue. Also would measure the stress on his arm. Are minor league players allowed to have wearable tech while playing? Before the beginning of last year MLB approved new sensors that can measure stress on the arm and can be worn for games. Technology is moving forward quite rapidly. A friends son because of concussions has a helmet with sensors that detected potential harming hits during Football games in high school. The hardest part is trying to get players to wear these things. There is a great book out “The Arm” by Jeff Passan. He looks at many causes in the UCL injuries in baseball. One area he discusses is the participation of many of the high school hard throwing prospects in the National Showcase competitions, the emphasis on radar guns there and over use that goes on at these things. Have to wonder if some of this could be a cause of problems for Hunter as he was not only participating as a pitcher in these showcases but was also putting in time at shortstop. He certainly was not over used or abused by the Reds.